You are here: Polari Magazine / WTF? Friday / You typed ‘kissing cadavers’ into Google … ?! You typed ‘kissing cadavers’ into Google … ?! 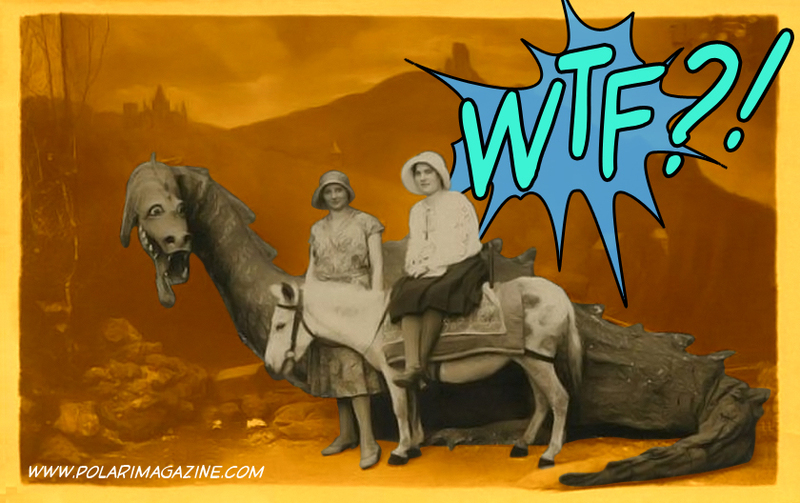 Each Friday Polari shares its favourite WTF?! search terms from the last 7 days. We have no idea how anyone gets to Polari using some of these search terms! This is where punctuation is so important. Comma, colon, question mark? Is the builder being addressed or is he the subject? It’s not funny, it’s sad, that someone would search for this, not realising that no matter how high the visibility of gay rights it pales next to the visibility of heterosexuality. There are sites that charge for these pictures? Really? Maybe it’s the name of a punk band we’ve never heard of. Perhaps she is not of this earth? Who can say? WTF is Kylie doing to me?